It was a glorious last two days of summer with temps in the low 70’s and just a nip of chill in the air at night. 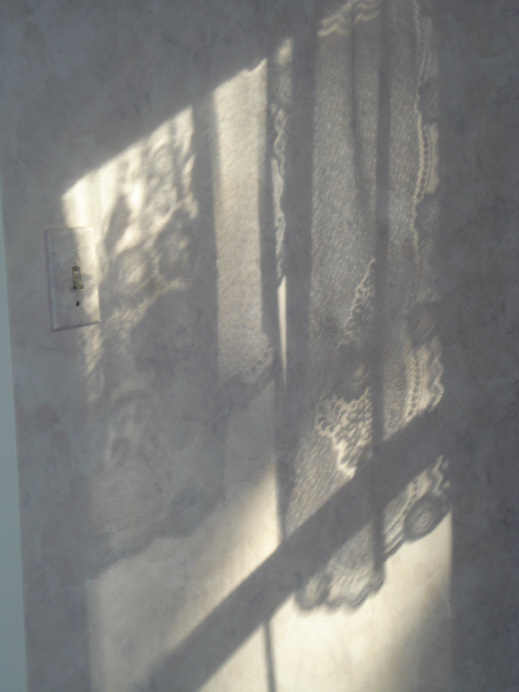 The autumn light slants through the stairwell window of the Borden house and makes a pattern of lace on the wall. On Old Second Street the Morning Glories are a riot of blue against the hot pink Impatiens in the little garden behind the Academy Building. On South Main the curving front of the new court house looms over morning strollers taking in the sunshine. 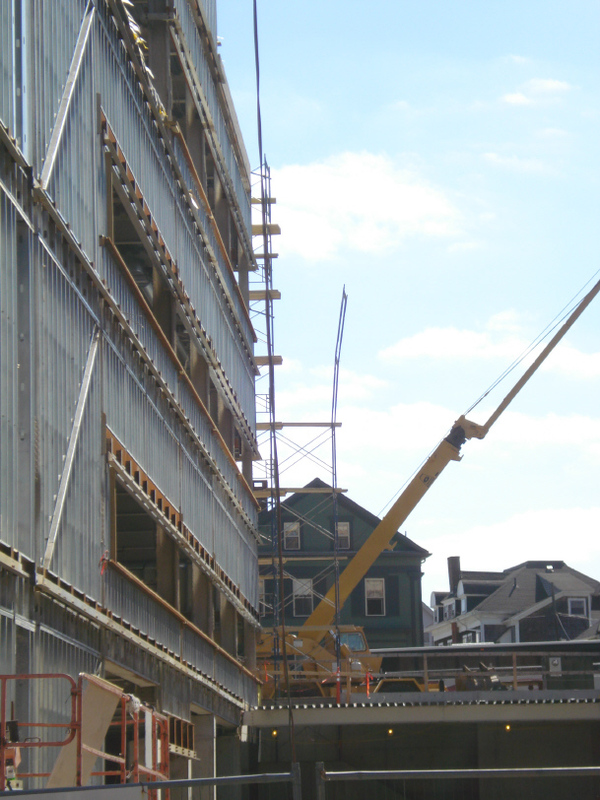 The Borden House can still be seen from the south end of the new construction.